The year has been very busy for the team so far and with the fabulous weather we have been inundated with requests for works both in the commercial sector and private gardens too. We have completed three decking builds, three paving projects, 320 square metres of turfing and over 450 metres of fencing this month alone! 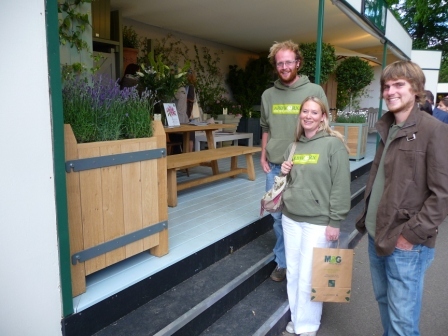 I suppose this was all helped with the Chelsea flower show getting so much attention in the media and companies like ourselves seeing the increased interest from the nation of gardeners that we all are! One special little treat that the team got was an all expenses paid trip to Chelsea to see the standard of work that we all strive for. 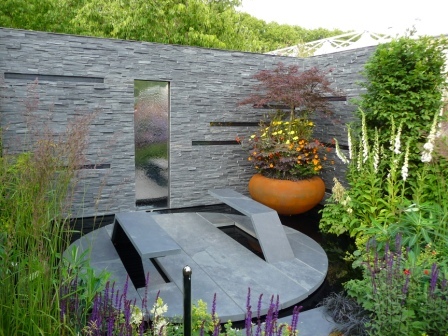 The attention to detail that was to be found at the show gardens at Chelsea is unrivalled across the world and I was keen to point out the craftsmanship that had gone into producing some of the hard landscaping features that complimented the planting so well. 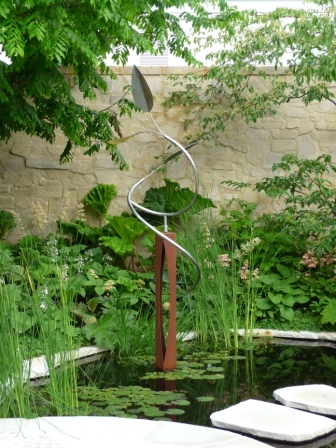 When you look at a water feature and see the water flowing perfectly over a long edge it is very difficult to achieve. Water will always find the lowest level and so it needs to be perfectly level and the flow even. 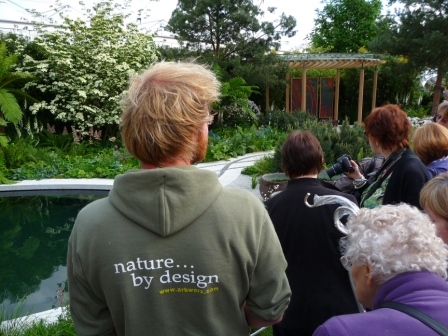 We all left Chelsea with ideas and inspiration to pass on to our clients and improve our skills for future projects. May also saw two new members of staff join the team, Nathan Orrell and Martin Eccles. 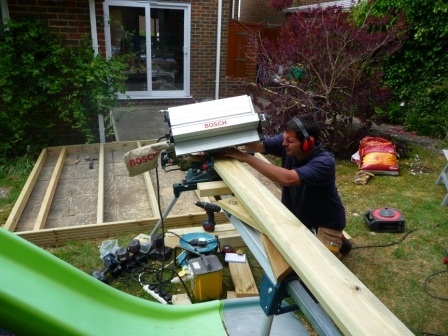 Nathan has joined us from a London based tree house installer and has really had to hit the ground running with the decking projects that I had lined up for his arrival. To say that the learning curve is steep is an understatement but he has grasped the challenge with both hands and soon will be producing works to our high standards without supervision form his mentor Gavin. 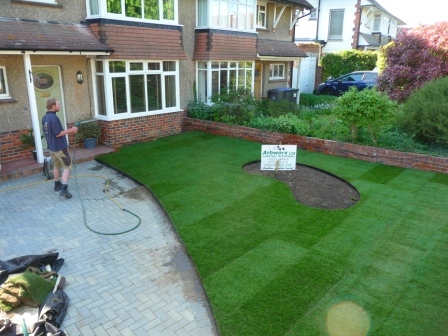 Martin has come to us from another local landscaping company and has stepped up to the mark already leading a team looking after a complete garden makeover in Crawley when Ben managed to crack a rib. (Not a good injury when you lift things all day!) 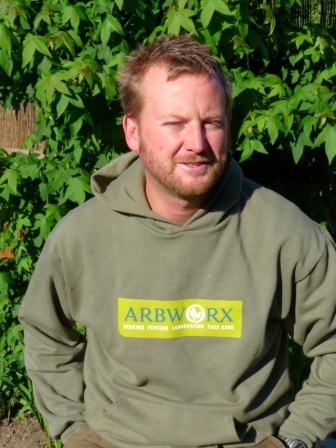 Martin has a solid background in landscaping after completing his National Award in Horticulture (Garden Design) with a distinction grade. 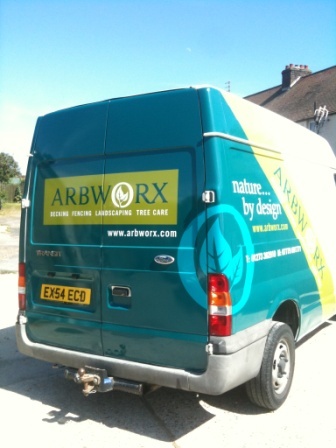 If you live in the Sussex area you may well see our new liveried vans around now too as we are nearing the completion of our re brand after a delay due to being just ‘too busy’ to pull them off the road to be sign written. The team are now in their new summer uniforms changing from our navy blue over to the new green layouts with our tag line embossed on the back.